Completing maintainance within predetermined timeframes because of market requirements and contractual obligations is one of the main challenges we have experienced our clients in the renewables industry are confronted with. Speed, quality, safety and reliability are essential factors to the succesful completion of maintenance and overhaul projects. Being able to fully rely on qualitative maintenance partners is therefore essential. From specifications, procedures, planning, follow up and cost control, to equipment, spare parts, testing and documentation: Allrig offers a total service concept, which can be fully adjusted to your needs. 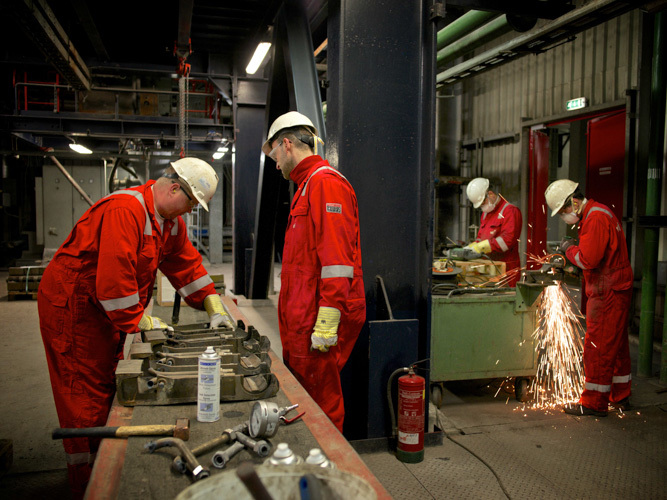 Mechanical maintenance of waste power stations is the speciality we have developed in the North Sea region over the years. Few companies have developed such efficient models for minimising maintenance shutdowns at waste incinerators. Nowadays this is a vitally important factor for owners. Modern waste incinerators are environment-friendly power stations with a contractual obligation to supply power. Every extra day of unplanned idle time represents an enormous cost item. Each year the 6 incineration lines of Afval Energie Bedrijf (AEB) in Amsterdam process 1.4 million tonnes of domestic and industrial waste. This works out at 4.4 million kilograms every day, or roughly 550,000 rubbish bags. Each day 600 lorries plus a goods train deliver waste to AEB, where it goes into incineration furnaces to be used in the generation of energy and heat. AEB generates 1 million MWh of electricity (enough for 285,000 households) and 300,000 giga- joules of heat. On top of this, the company extracts 17,740 tonnes of iron and 2,595 tonnes of nonferrous metals from materials remaining after incineration for redelivery to manufacturing industry.